One of the biggest national stories during the week beginning Feb. 13 was the news coming out of the area around the Oroville Dam, a large reservoir in the foothills of the Sierra Nevada in northern California. After years of severe drought conditions, the dam, like much of the rest of the state in recent weeks, was suddenly inundated with heavy rainfall, as the LA Times reported. With soil too dry to absorb much water, many parts of California have been facing floods. But the situation around the Oroville Dam became even more grave as the structure appeared ready to burst from excess water flow. More than 100,000 people from the area were evacuated Feb. 12 for fear that the dam would fail and cause deadly flooding. Fortunately, the situation was contained, and some residents were allowed to return as soon as Feb. 14. The situation at the Oroville Dam is an exceptional one, but it underscores the issues many Californians are now facing. With drought conditions in much of the state now improving, according to the U.S. Geological Survey, many California residents could very well be celebrating an end to the state of emergency that was declared in January 2014. However, not only is the drought still technically active in much of the state, according to the USGS, but the heavy rainfall that has helped to alleviate it is now causing its own problems. Facility managers, business owners or anyone who manages any kind of property should now be on the lookout for roof damage, as further heavy rains could very well lead to costly leaks in short order. A roof maintenance plan that focuses on spotting problems and preventing leaks early remains the best course of action as the state’s drought conditions improve. Roofing materials can become defective and allow moisture to penetrate for a number of reasons, which is why preventive roof maintenance is crucial. But without such oversight, these problems present themselves at perhaps the most inopportune times. The Ventura County Star reported Feb. 2 that bouts of heavy rain in the area had led to an uptick in property owners calling on roofing contractors for emergency repairs. Many roofing contractors throughout California saw a similar uptick in business around this time, the Star noted. This certainly made welcome business for these professionals, but homeowners and commercial facility managers were still at the mercy of Mother Nature. During periods of heavy rain, it becomes difficult and often dangerous for roof maintenance and repair workers to operate. That leads to these vital repairs being delayed and only exacerbates any leaking that may have already started. Many property owners or facility managers might not even think to prioritize roof maintenance until heavy rainfall occurs, which is often too late. Postponing a regular schedule of preventive roof maintenance can invite leaks, and with leaks come the risk of several dangerous and expensive problems for facility managers or any property owner. According to the International Association of Certified Home Inspectors, the roof is the primary source of water intrusion in most structures. Buildings with venting and ductwork on the roof pose an even greater leak risk. Leaks that are not found and treated promptly can quickly lead to unsightly stains on interior walls, or damage to goods stored inside a warehouse, for example. Over a longer period of time, even a small leak can grow into a major problem. 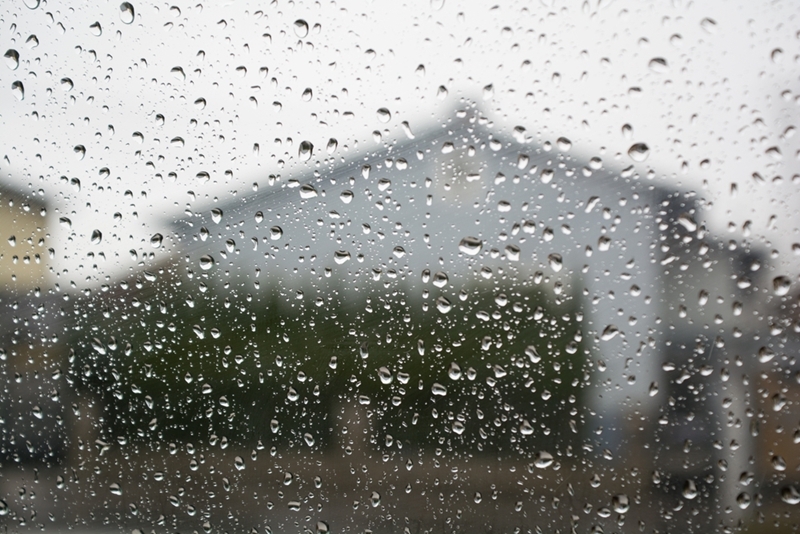 Left unnoticed, rainwater can invite mold growth, posing a serious health risk and even inviting structural damage. Once mold is detected, treatment and removal is often very complicated and expensive. As always, the best, most cost-effective strategy for preventing leaks involves first choosing the right materials, and then ensuring regular maintenance is scheduled well in advance.